Adventures of M-Squared: Back in the US of A! Our trip back to the States was pretty darn good, all things considered. 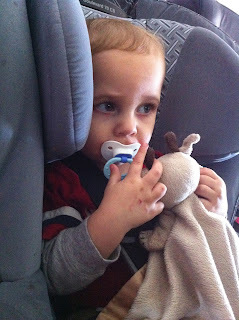 Ben did REALLY well the whole trip and only had a minor meltdown on our very last flight in to Phoenix. I think he was entitled to that one though, and he only fussed for a little while and then fell asleep. On Thursday, we flew from Aviano to Ramstein, and had a couple hour layover there. During that layover, our friend, Brenda and her kids met us for a few minutes. I wish we had had more time to sit and chat with them, but they only gave us an hour before we had to be back through security, which was dumb since then we sat back there for another hour. 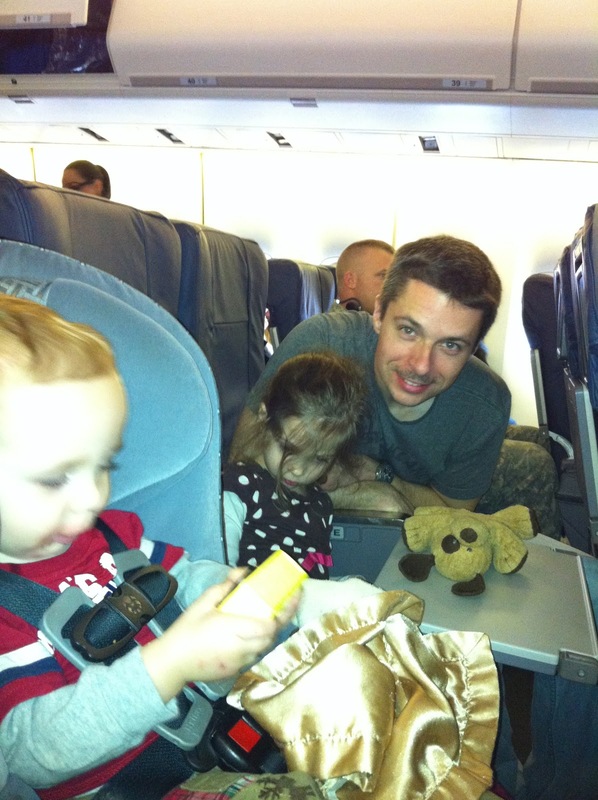 Then we had an 8 hour flight from Ramstein to Baltimore. 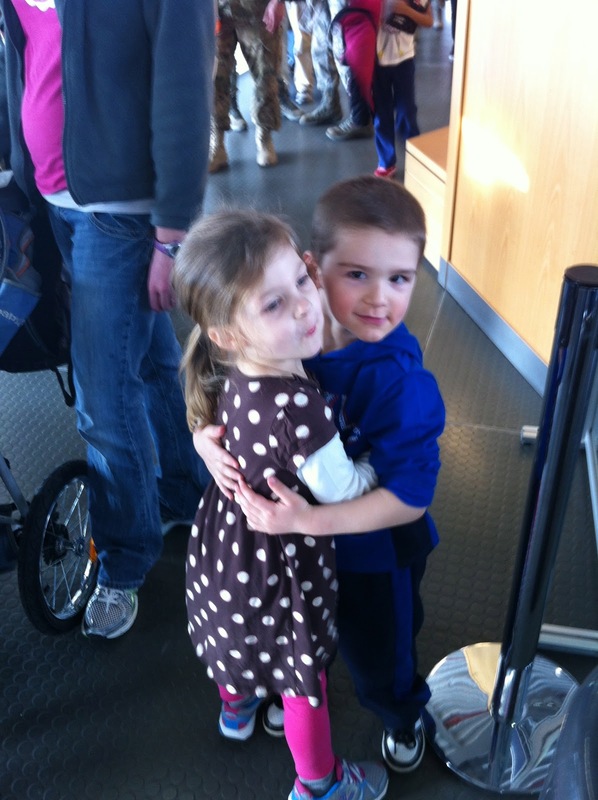 Abbie had a meltdown or 2 on that flight, but other than that it went pretty well. We were pretty nervous about how we were going to get the 4 of us, 2 dogs in their crates, 2 carseats, the double stroller and 14 pieces of luggage to the hotel with just the 2 of us, but we managed to get it done. We put the kids in the stroller and each wore on of the huge car seats on our backs and then managed to stack all the other suitcases on 2 luggage carts and the dogs on a 3rd cart. People were more than willing to help us with everything, even though Mark and I could have managed to drag everything to the shuttles if we'd needed to. On Friday we flew from BWI to ATL to Phoenix. We were all up early anyway thanks to jet lag, so we left the hotel by 7am and got the dogs and all our stuff checked in with two hours to spare before our flight took off. We got a little over zealous in our packing though since we decided we didn't want to drag a bunch of stuff through the airports with us so we condensed all our carry-ons to one carry on sized suitcase and our 2 back packs. When we checked in all our suitcases, we accidentally checked the carry-on suitcase we wanted to keep with us (that had all the kids snacks and diapers in it). Oops. Luckily I had put 3-4 of Ben's diapers and a few wipes in my back pack so that got us through the day of traveling. If you want to get people's attention while walking through an airport, try pushing a giant double stroller. We had the double BOB with us and I don't know how many people commented on it, or asked us about it, and plenty more just stared as we went by. People were very interested as to why we were traveling with it and where we were going. It was fun hearing their stories about traveling with young kids also. 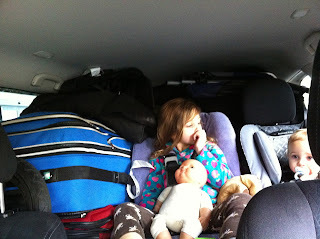 The double BOB is nice, in ways, to travel with since the kids both fit in it, it's SUPER easy to push and we can put other stuff on it, but the thing really is huge, and the case we have for it is even bigger. People were calling it the "Cadillac of strollers" and it really is. Next time I'll bring our single BOB though. 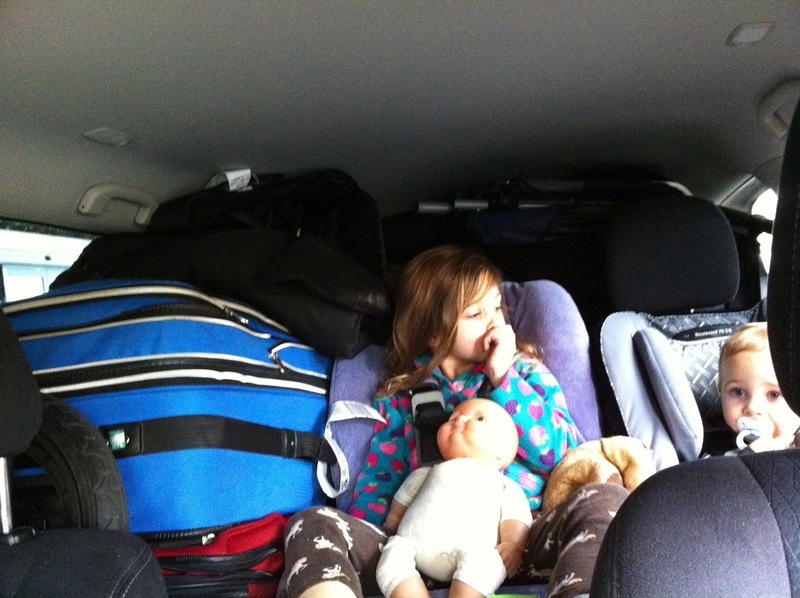 Our final challenge was getting all of the our stuff to fit into our rental SUV. Considering it took us a station wagon and an SUV to get our stuff to the terminal in Aviano, we were fully prepared to have to rent another car for a few hours to get our stuff to our hotel. However, Mark and I managed to put our expert packing skills to good use and we got it all to fit into the Pathfinder we rented. We even had a little bit of room to spare in the very back. Go us!! I'm way behind in my blogging. Eventually I'll get caught up, but it'll take a while as we are really busy since we just got our HHG's (household goods) today, and new carpet yesterday. Tomorrow we're picking out paint colors to start painting the downstairs, which will most likely take forever to do. The sample colors are up on the wall so we'll see. So glad you made it!! I was extremely curious how you'd get everything to fit in your vehicle once you got there—how awesome that you even had extra space! And you already got your HHG? Wow, way to go moving company!! Welcome back to the states. Tell your folks hello from me. So what's next? A family outing to Olive Garden? I got your post card! I always show Ellie your postcards. Thanks! Welcome back and hope you are recovering well! You deserve it! !